This is a simple straight lined design. The Freemont is punctuated with a corbel at the center. The inner surround panel has an arched detail. Marble is just one of the choice materials for this mantel facing. 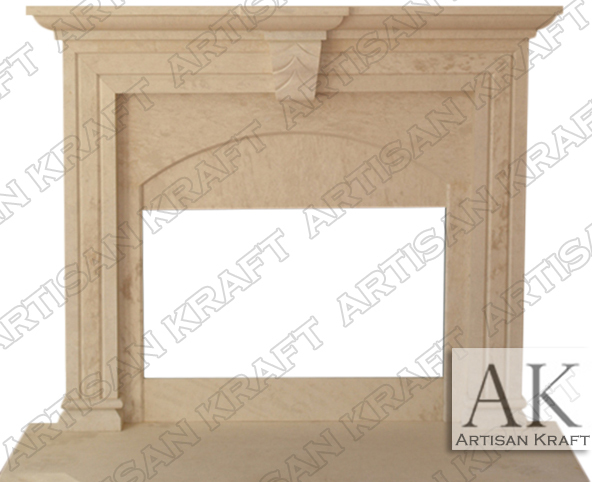 Cast stone, limestone and travertine are other material that this can be made for you from. All of our fireplaces are adjustable in size. Give us a call for more information on how to customize the size for your particular needs. Visit our Chicago fireplace showroom to view the many great options.